Imagine a shared home ownership model that allows you to own a piece of paradise within the coveted Seaside community while building equity in your purchase. This innovative ownership model brings together a limited number of highly vetted investors through an LLC structure, allowing you to own and enjoy a multi-million dollar home for a fraction of what it would cost to own outright. Sometimes referred to as the town that started it all, Seaside is synonymous with the relaxed, coastal elegance of Florida’s Gulf Coast. 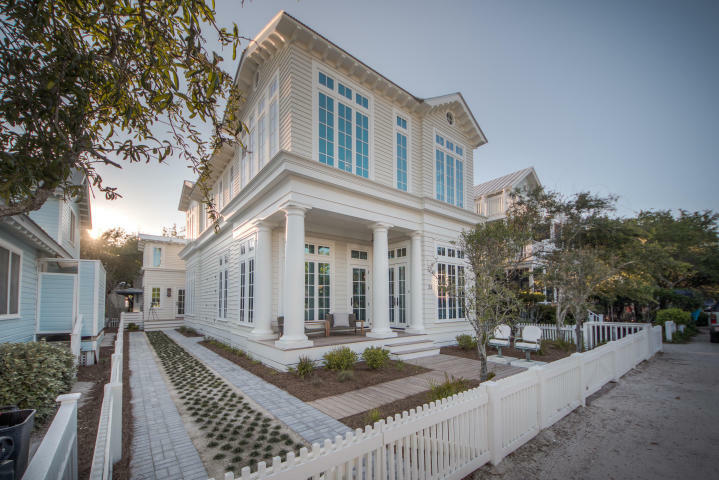 Thoughtfully designed as a walkable community with every convenience just steps away, its idyllic location on Scenic Highway 30A has made a destination of choice for guests seeking a quiet, luxurious escape to the beautiful beaches of the Gulf of Mexico. A majestic residence with 360 degree, unobstructed 4th floor views allowing for spectacular year-round sunrises and sunsets over the Gulf of Mexico! Newly constructed to the highest standards, this property includes a three-bedroom main home with bunk area, a one-bedroom carriage home and a private semi-indoor swimming pool with fireplace leading to an outdoor seating area. 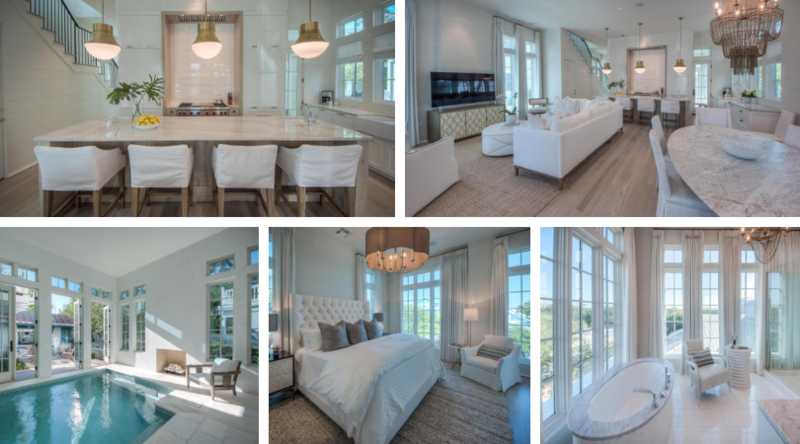 The interior of the home is defined by a sophisticated coastal style and features exquisite finishes throughout such as 12′ ceilings, Carrera marble counters and accents, wire-brushed hardwood floors, Sub-Zero and Wolf appliances, designer lighting and much more. 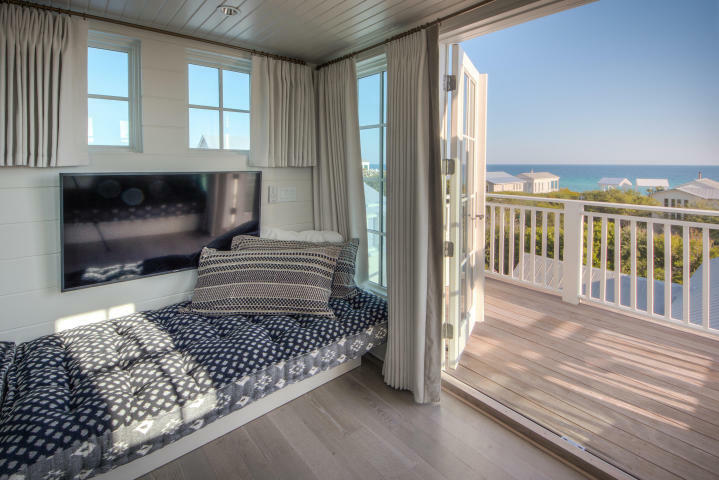 Thoughtfully designed to offer a luxe lifestyle, this home includes multiple seating areas, comfortable and stylish bedroom suites and every modern convenience imaginable to live the Seaside lifestyle to the fullest. 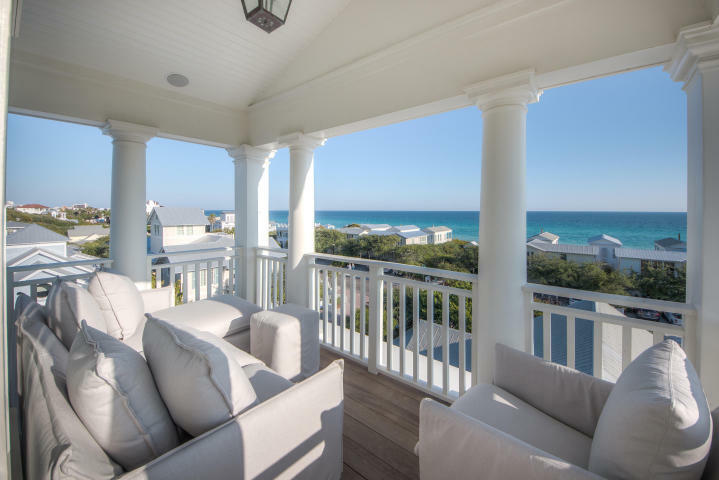 Enjoy breathtaking Gulf views from both the third and fourth stories and an unbelievable location just steps from the beach and the town center of Seaside yet far enough on the perimeter of this coveted 30A community for a private retreat.